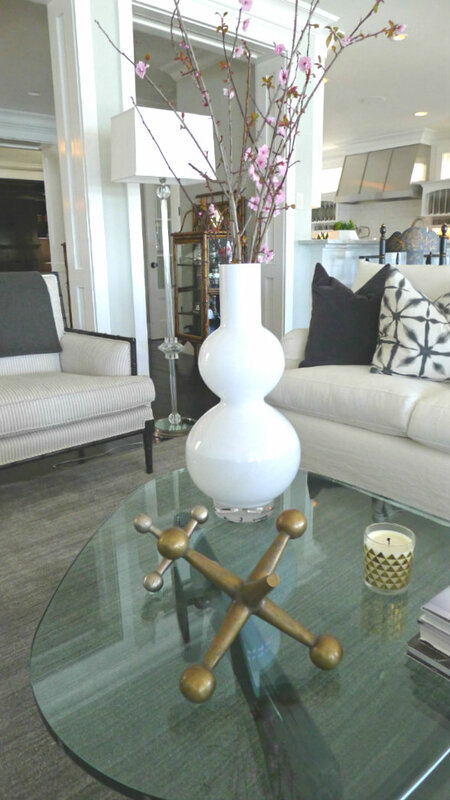 I wanted to share with you one of my favorite homes from last week’s Newport Harbor Home Tour. Actually, I have several favorites and will share the others soon. 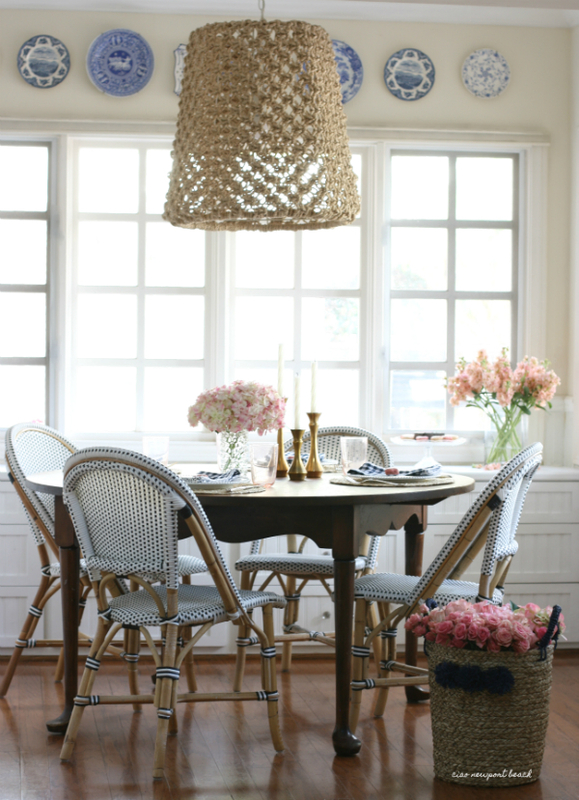 This one in particular is a great mix of Cape Cod and California coastal styles. 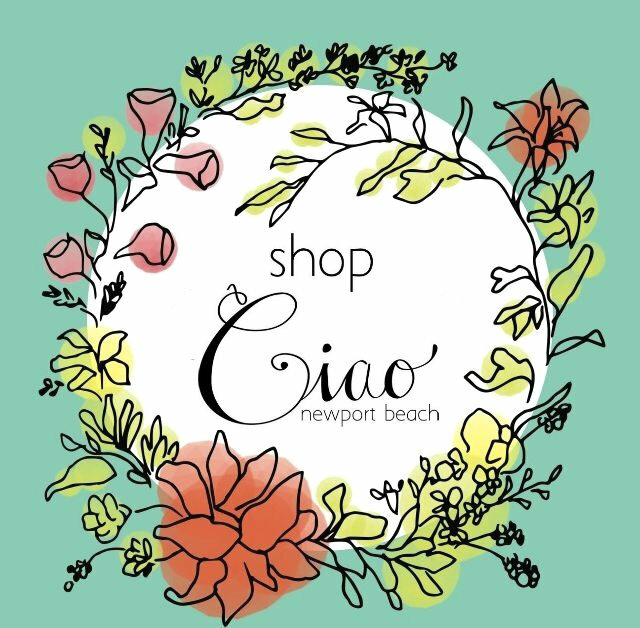 Located on Lido Isle this water-front home captures the laid back casual style that's perfect here in Newport Beach. The mostly neutral palette and the use of natural materials, such as Carrara marble, limestone, soapstone and flagstone create an organic and comfortable vibe you get as you enter the home. 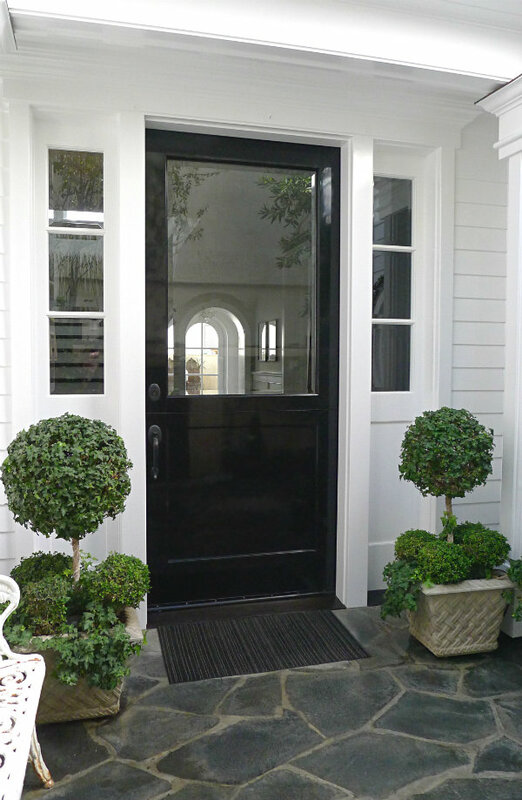 A glossy black door greets you as you arrive. 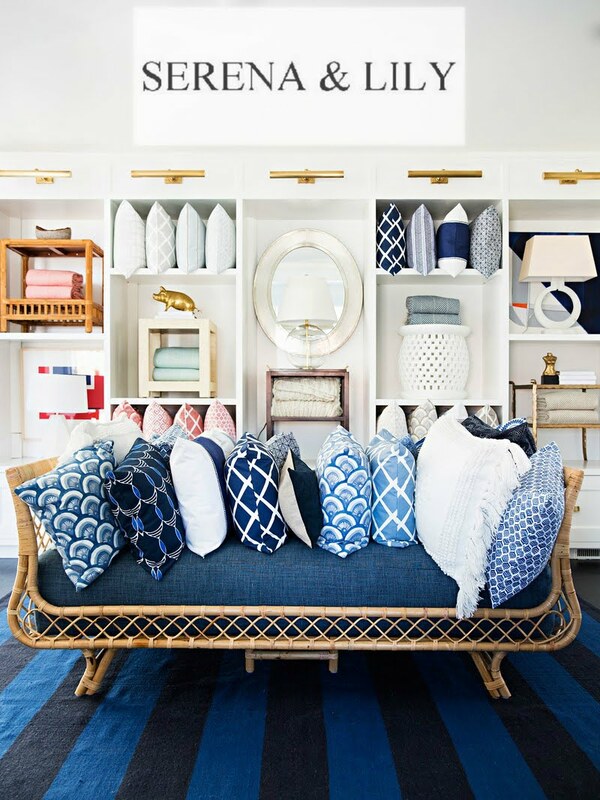 Inside, the home is a great mix of streamlined traditional furnishings with some fun modern accessories such as the lucite ottomans. I love the simple styling of the mid-century inspired coffee table. It fits in perfectly with the antiques and newer pieces. 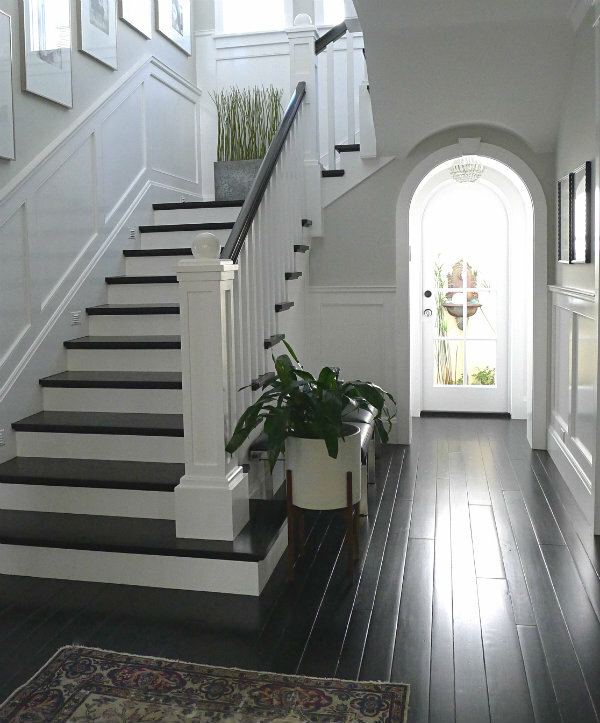 A light and bright hallway leads the way. 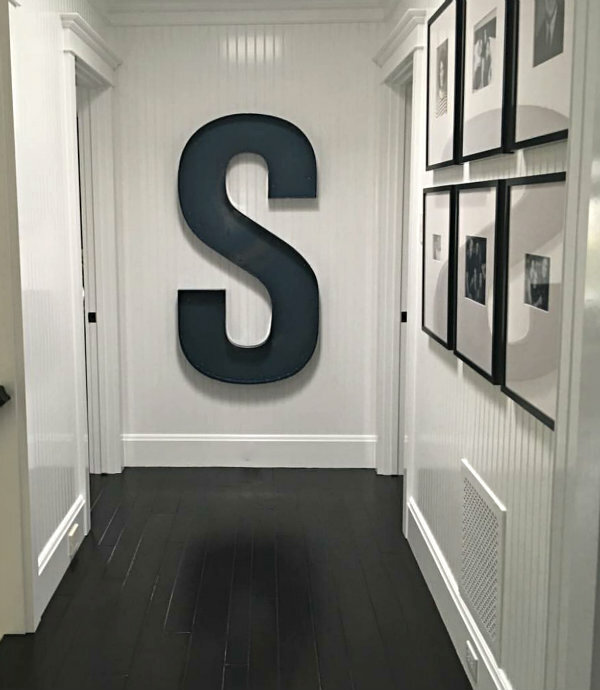 Everyone fell in love with this giant "S". It's such a bold statement against the bead board walls. 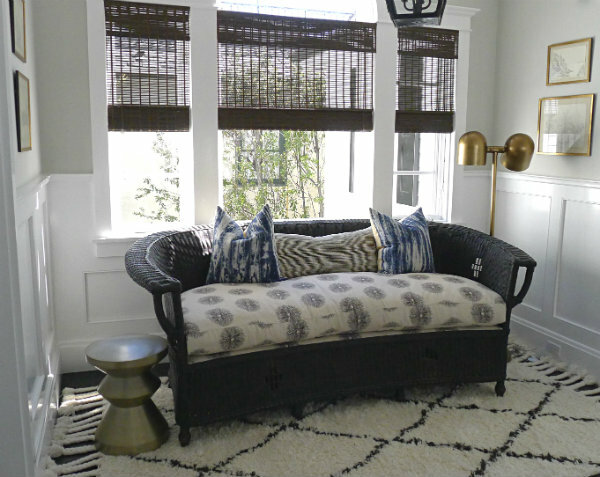 This cozy seating area is a favorite spot for the homeowners. because this is my favorite sitting area in the home! 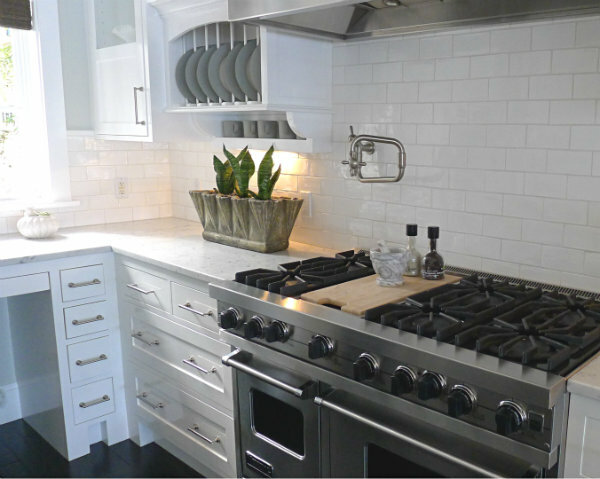 Crisp white tiles and marble are perfect in the kitchen. 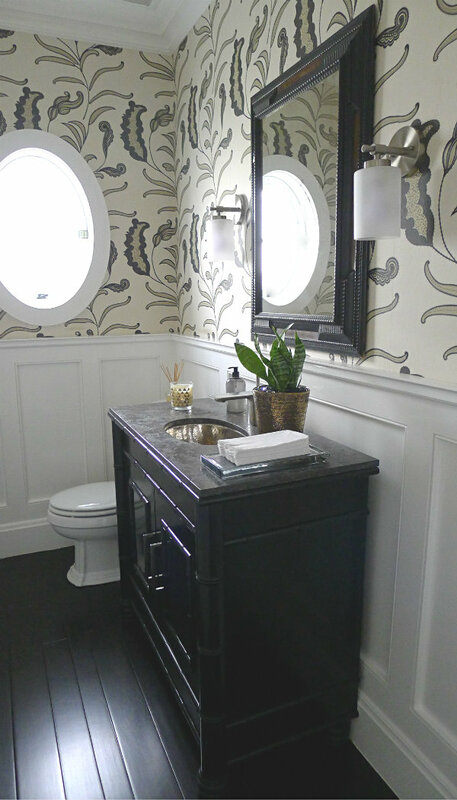 The powder room features this gorgeous patterned wallcovering. This chandelier reminds be of a sea urchin! The beach bathroom is embedded with real seashells! 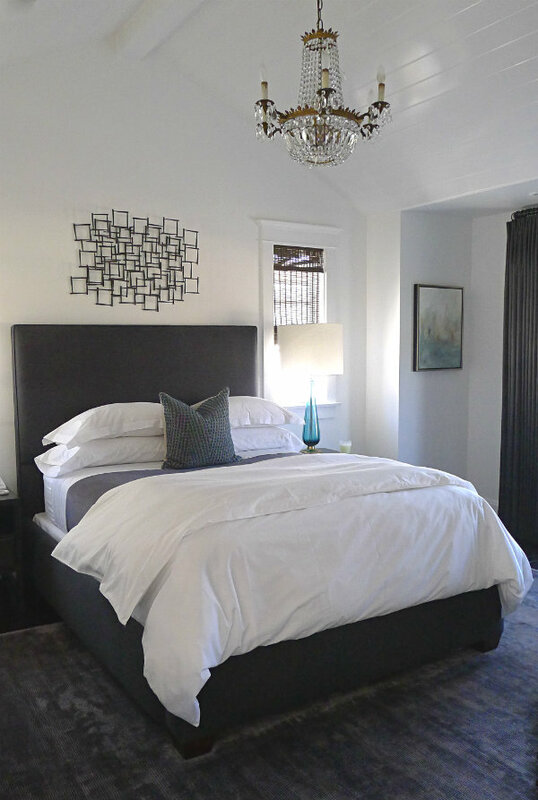 I love the color palette in the master bedroom too! 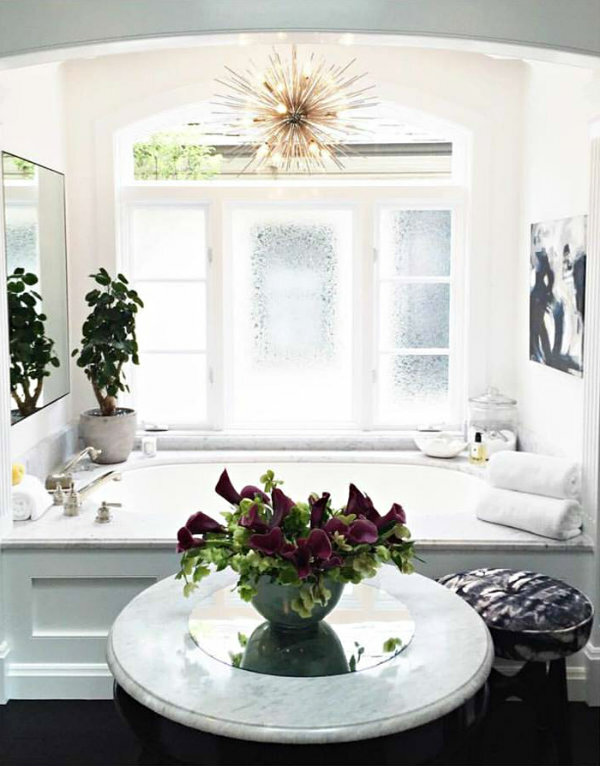 Gorgeous antique lighting can be seen throughout the home. especially for the grandkids who love to create their own artwork. 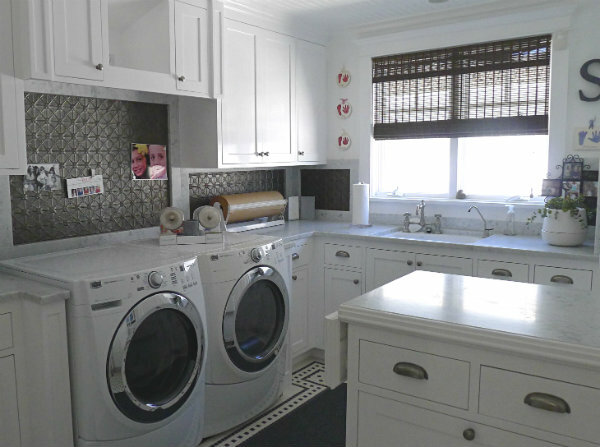 The upstairs laundry room features a pressed tin backsplash. who snapped this pretty photo in the courtyard. other photos by our home tour photographer Susan! Love the home tour. 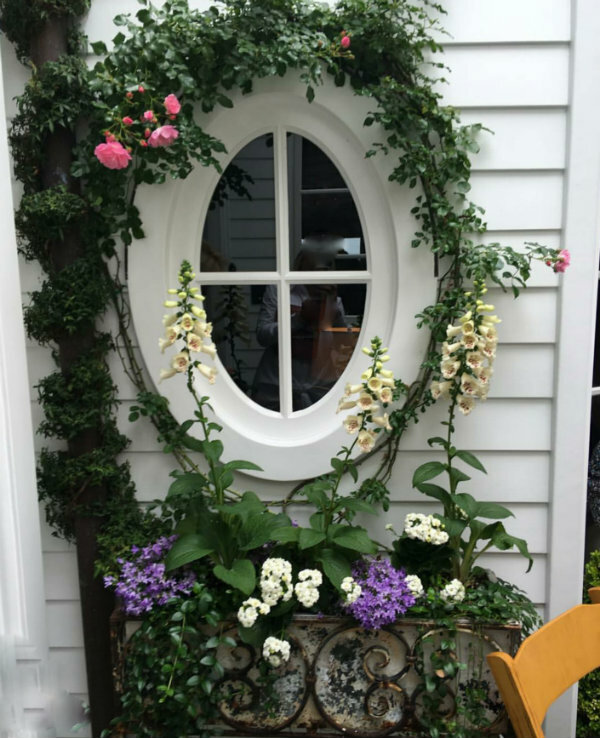 I could live in this happy home in a Newport minute. 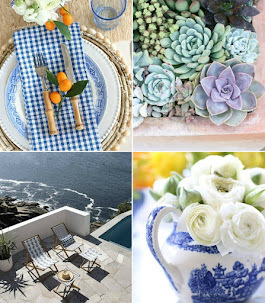 Living in the Northwest I strive to make my home reflect the beach, fresh air look. Thanks for sharing. How beautiful! I just love the open floor plan and the kitchen is amazing. Happy Tuesday! I'm dying to know where that master bedroom rug comes from.... do share! Sherri ?!? Haha, if this is you, I will put you in contact with the interior designer. Her name is Melinda Hovie. Oh, Hi Jaclyn. 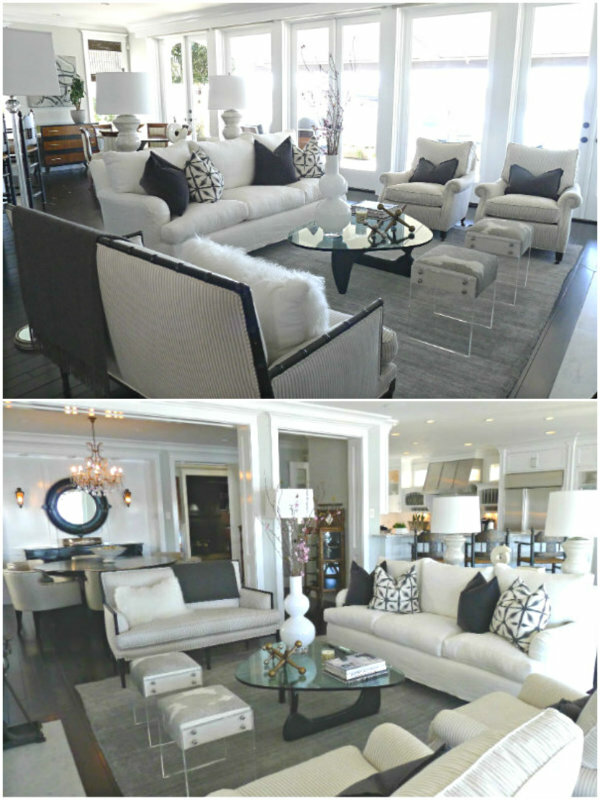 My friend Sherri just texted me this week about a rug in the same house, from the Newport Harbor Home Tour! She has to have it too!! 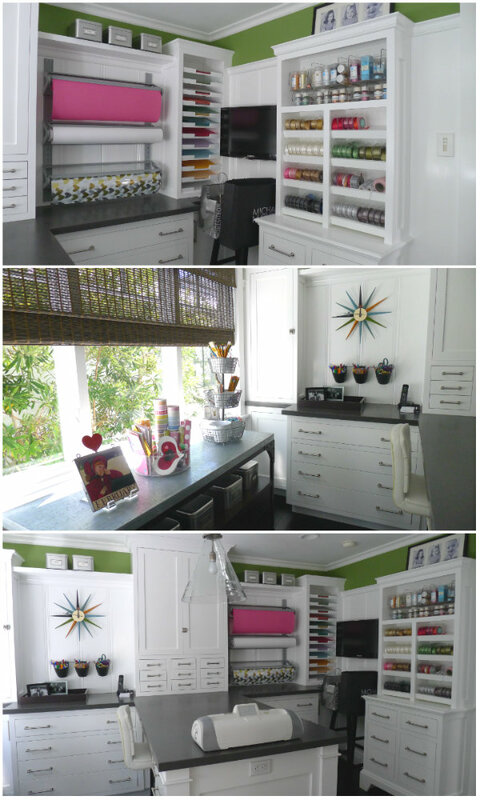 If you would like to contact Julie Hovie, the designer, here is her email: julie@hovieinteriors.com. 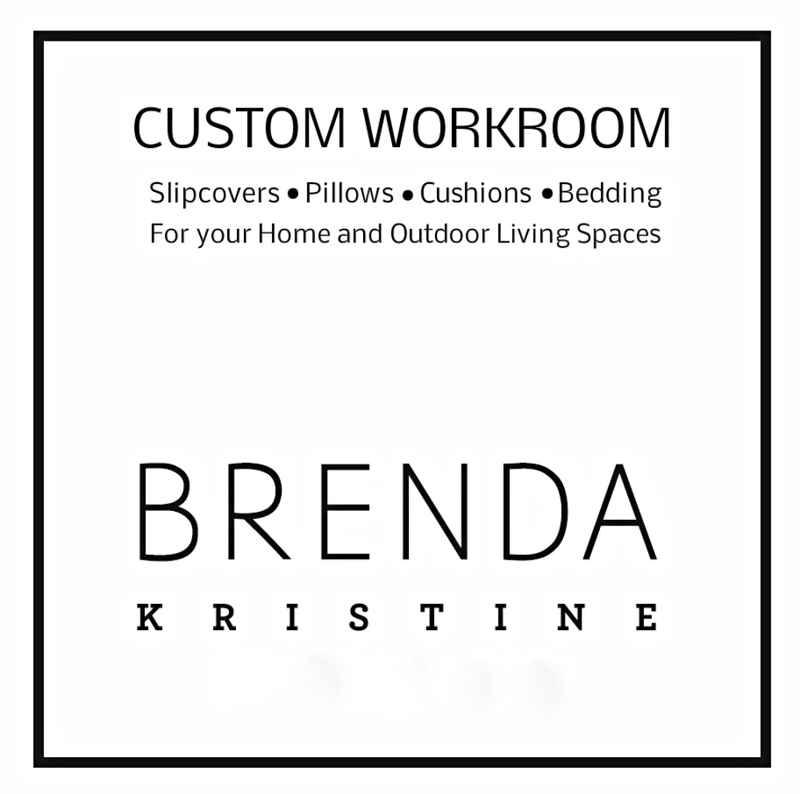 Where is your master bed frame from?! I'm in love! I am looking for it as well!